The Downtown Salt Lake&apos;s Farmers Market is one of my absolute favorite summertime activities. Offering a wide variety of locally grown or prepared fresh produce, meat, breads and pastries, artisan cheeses, and other prepared food and drink options. Held in Pioneer Park, vendors also sell indoor and garden plants, and handmade arts and crafts. The Farmers Market is a delicious way to sample Salt Lake&apos;s fresh produce and culinary offering and support the Buy Local First movement. 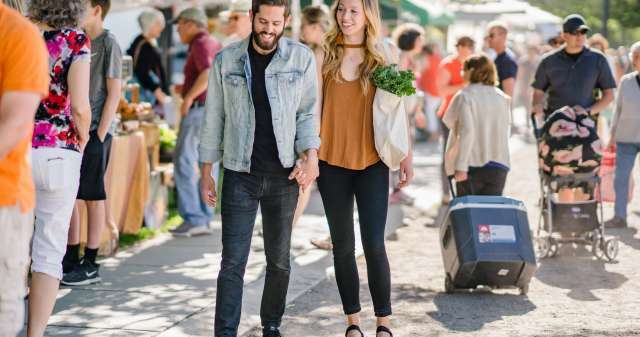 For those who can&apos;t make it to the Saturday Markets, the Downtown Alliance has also organized a Fall Harvest Market held August through October on Tuesday Evenings in Pioneer Park.